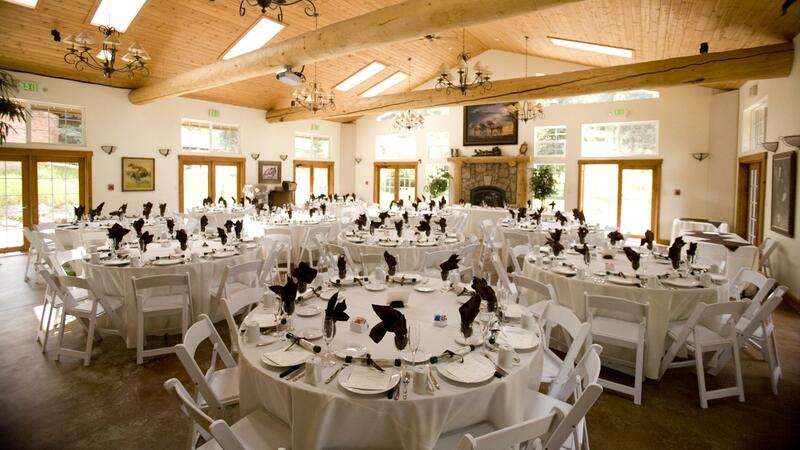 Rent Meadow Creek Mountain Lodge | Corporate Events | Wedding Locations, Event Spaces and Party Venues. At an elevation of 8,200 feet, Meadow Creek is open year round and easily accessible, just one mile off scenic US Highway 285, outside Conifer and Colorado’s newly open Staunton State Park. Conveniently situated only minutes from Denver-Metro, in the foothills just outside Conifer and above the townships of Morrison and Evergreen, is a Colorado Mountain Oasis which awaits. You are invited to come visit and stay within this historic stone Inn and all her surrounding natural beauty, known as Meadow Creek Lodge and Event Center. Built by an Italian Prince for his Denver bride in the late 20s as a summer retreat for both friends and family alike, the Inn today is an exclusive 34 acre mountain estate which balances convenience of valuable time with a most secluded mountain experience. Completely surrounded by a diverse forest of mature pines, season changing aspens, rock outcropping, and a spring-fed creek; the surrounding woods support a wide range of assorted wildlife and flora. Meadow Creek encapsulates what is best about the Majestic Rocky Mountains without spending a half day or more (not to mention a tank of gas!) getting here. Our Inn is also an exceptional place to conduct business meetings and corporate retreats. Our separate 2,000 sq ft. indoor conference and Event Center, complete with an advance multi-media sound and visual system, can accommodate groups up to 120 invitees for lectures, workshops, and milestone celebrations. High speed Wi-Fi internet access is always available both within the lodge and event pavilion for business and pleasure. Getaway from that typical downtown, windowless hotel conference room.